One of the most interesting aspects of digitising magnetic tapes is what happens to them after they leave the Great Bear studio. Often transfers are done for private or personal interest, such as listening to the recording of loved ones, or for straightforward archival reasons. Yet in some cases material is re-used in a new creative project, thereby translating recordings within a different technical and historical context. So it was with a collection of ½ inch EIAJ SONY V30H and V60H video tapes that recently landed in the Great Bear studio which documented the antics of Action Space. Such creative shape-shifting, which took its impulsive artistic action in a range of public spaces can so often be the enemy of documentation. Introduced in 1969, EIAJ 1/2″ was the first format to make video tape recording accessible to people outside the professional broadcast industry. Yes those dirty recording heads make things more difficult when it comes to re-formatting the material. 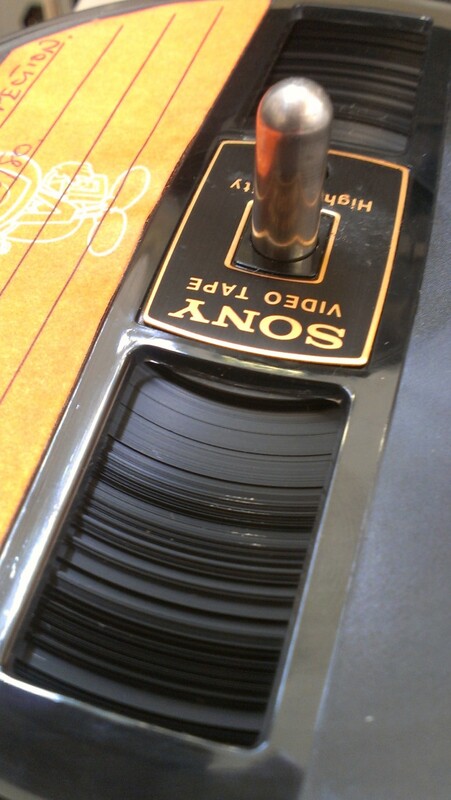 While some of the recordings replay almost perfectly, some have odd tracking problems and emit noise, which are evidence of a faulty recorder and/or dirty tape path or heads. Because such imperfections were embedded at the time of recording, there is little that can be done to ‘clean up’ the signal. Other problems with the Action Space collection arise from the chemical composition of the tapes. The recordings are mainly on Sony branded V30H and high density V60H tape which always suffer from binder hydrolysis. The tapes therefore needed ‘baking’ treatment prior to transfer usually (we have found) in a more controlled and longer way from Ampex branded tapes. And that old foe of magnetic tape strikes again: mould. Due to being stored in an inappropriate environment over a prolonged period, many of the tapes have mould growth that has damaged the binder. While the footage of Action Space is in itself a valuable historical document, the recordings will be subject a further act of translation, courtesy of Ken’s film maker son, Huw Wahl. Fresh from the success of his film about anarchist art critic and poet Herbert Read, Huw is using the digitised tapes as inspiration for a new work. This new film will reflect on the legacies of Action Space, examing how the group’s interventions can speak to our current historical context. Huw intends to make a new inflatable structure that will act as the container for a range of artistic, academic, musical and nostalgic responses to Action Space’s history. 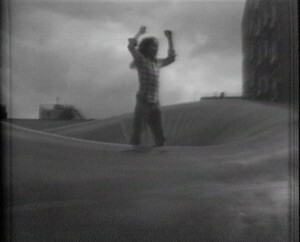 The finished film will then be screened inside the inflatable, creating what promises to be an unruly and unpredictable spectacle. Another great thing about the film is that the Great Bear Studio will have an important cameo role. We wish Huw the very best for his work on this project and look forward to seeing the results! Walter Benjamin, ‘The Task of the Translator,’ Selected Writings: 1913-1926, Volume 1, Harvard University Press, 2006, 253-264, 254. Action Space Annual Report, 1972, accessed http://www.unfinishedhistories.com/history/companies/action-space/action-space-annual-report-extract/. We understand that when organisations decide to digitise magnetic tape collections the whole process can take significant amounts of time. From initial condition appraisals, to selecting which items to digitise, many questions, as well as technical and cultural factors, have to be taken into account before a digital transfer can take place. This is further complicated by that fact that money is not readily available for larger digitisation projects and specific funding has to be sought. Often an evidence base has to be collected to present to potential funders about the value and importance of a collection, and this involves working with organisations who have specific expertise in transferring tape-based collections to digital formats to gain vital advice and support. We are very happy to work with organisations and institutions during this crucial period of collection assessment and bid development. We understand that even during the pre-application stage informed decisions need to be made about the conditions of tape, and realistic anticipations of what treatments may be required during a particular digitisation project. We are very willing to offer the support and advice that will hopefully contribute to the development of a successful bid. 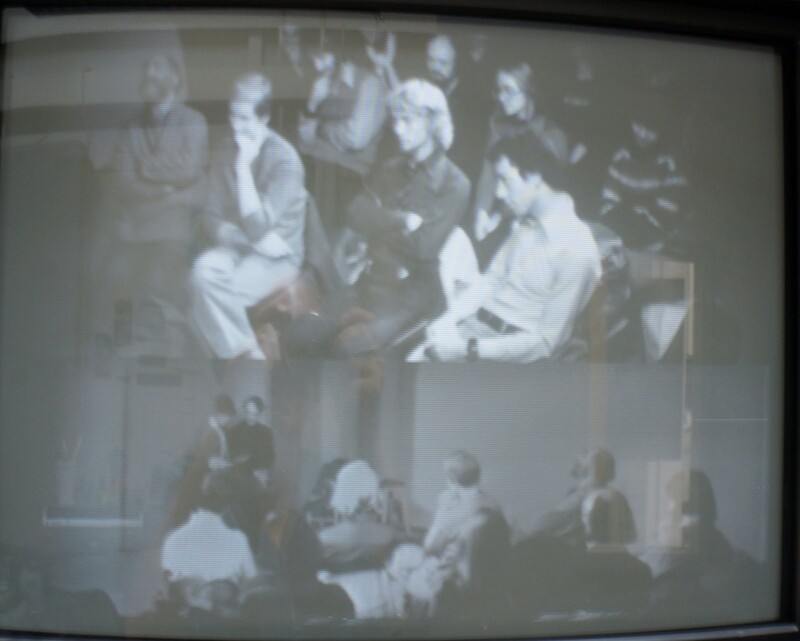 For example, we recently were contacted by Ken Turner who was involved in Action Space, an experimental, community theatre group established in 1968. Ken has a collection of nearly 40 EIAJ SONY video tapes that were made in the 1980s. Because of the nature of the tapes, which almost always require treatment before they can be played back, transferring the whole collection will be fairly expensive so funding will be necessary to make the project happen. We have offered to do a free assessment of the tapes and provide a ten minute sample of the transfer that can be used as part of an evidence base for a funding bid. 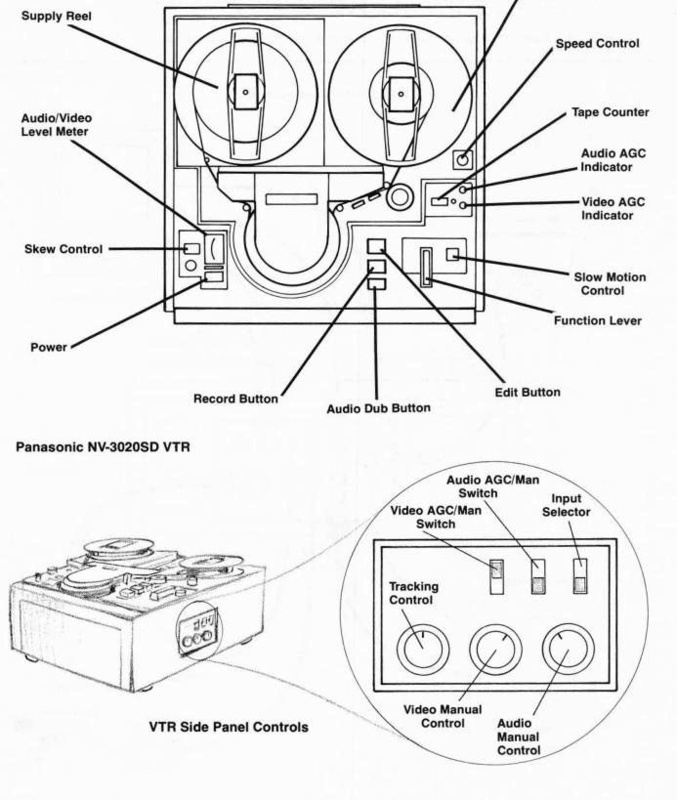 The EIAJ video tape recorder was developed in the late 1960s and is a fairly important format in the history of recordable media. 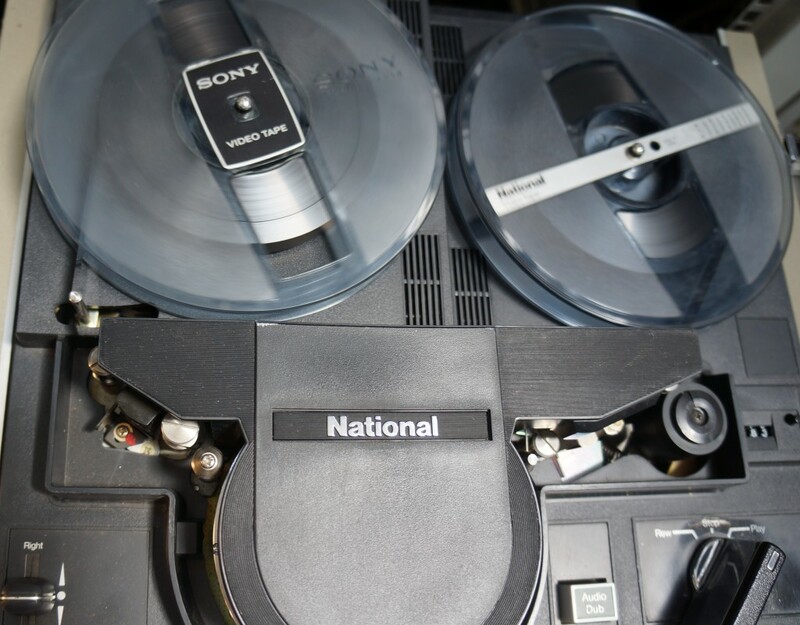 As the first standardized video tape machine, it could playback tapes made by different companies and therefore made video use far cheaper and more widespread, particularly within a domestic context. 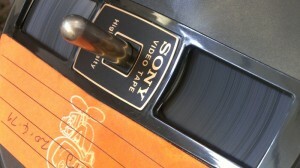 The EIAJ standard had a similar democratising impact on non-professional video recording due to its portability, low cost, and versatility.As mentioned above, the EIAJ tapes almost always require treatment before they can be played back, particularly the SONY V30-H and V60-H tapes. Problems with the tape are indicated by squealing and shedding upon playback. This is an example of what the AV Artifact Atlas describe as stiction, ‘when media suffering from hydrolysis or contamination is restricted from moving through the tape path correctly.’ When stiction occurs the tape needs to be removed from the transport and treated immediately, either through baking and cleaning, before the transfer can be completed. EIAJ tapes that have a polyethylene terephthalate ‘back coating’ or ‘substrate’ may also be affected by temperature or humidity changes in its storage environment. These may have caused the tape pack to expand or contract, therefore resulting in permanent distortion of the tape backing. Such problems are exacerbated by the helical scan method of recording which is common to video tape, which records parallel tracks that run diagonally across the tape from one edge to the other. If the angle that the recorded tracks make to the edge of the tape do not correspond with the scan angle of the head (which always remains fixed), mistracking and information loss can occur, which can lead to tracking errors. 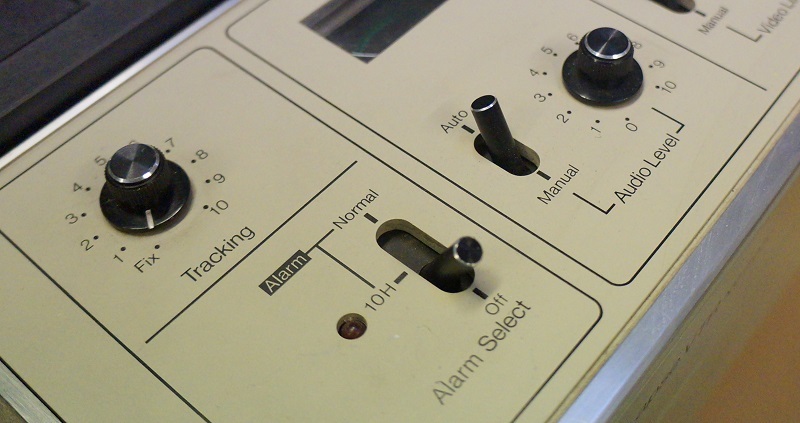 Correcting tracking errors is fairly easy as most machines have in-built tracking controls. 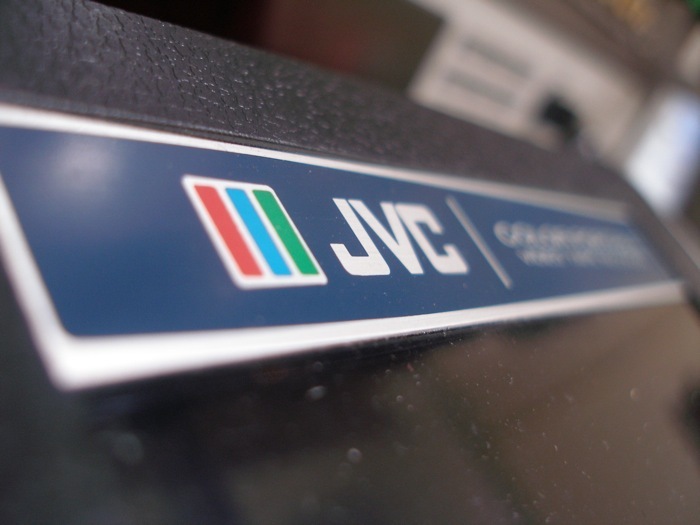 Some of the earliest SONY CV ½ inch video tape machines didn’t have this function however, so this presents serious problems for the migration of these tapes if their back coating has suffered deformation. Although Action Space disbanded in 1981, the project was relaunched in the same year as Action Space Mobile, who are still operating today. The centre of the Action Space Mobile’s philosophy is that they are an arts company ‘that has always worked with people, believing that contact and participation in the arts can change lives positively.’ There is also the London based ActionSpace, who work with artists with learning disabilities. We hope that offering community heritage projects the possibility of collaboration will help them to benefit from our knowledge and experience. In turn we will have interesting things to watch and listen to, which is part of what makes working in the digitisation world fun and enjoyable. We were very excited recently when Chris Bradfield from Soundscommercial uncovered a previously unseen batch of EIAJ half inch reel to reel video tapes. 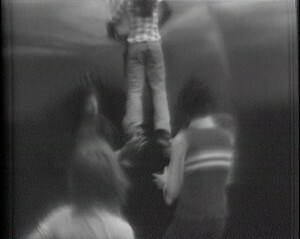 In the process of looking for 1976 footage for their event, Sprit of 76, we uncovered many other gems. One of these goals was the famous hat-trick scored by Kevin Mabbutt against Manchester United at Old Trafford in 1978. Mabbutt is one of only two players in Football League history even to have done this and this footage was never recorded anywhere else! Unfortunately this large batch of valuable recordings had been stored in damp, unheated conditions and had suffered. 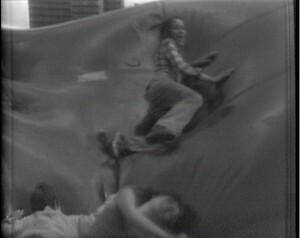 The tape had deteriorated in several ways. The oldest tapes from the early 1970’s were shedding oxide severely and had little lubrication left in the binder. Binder hydrolysis, often called sticky shed was evident on other tapes. Each issue needed a different process to treat the tape. The common assumption that ‘tape baking‘ will restore all unplayable tape is not true. It is just one solution to one of these issues and can cause more problems if used incorrectly. Deteriorated video tape is much less forgiving than audio tape when attempting transfer and must always be handled and processed with extreme care. Crinkled, curled, edge damaged tapes are next to impossible to restore back to their original condition and it’s common that more damage can occur when owners are desperate to transfer footage. We were able to restore all the tapes to a playable condition and make uncompressed quicktime files of these. Below is a clip from a later recording. We are not able, unfortunately, to show the Kevin Mabbutt clip yet. You are currently browsing the greatbear analogue and digital media blog archives for November, 2009.